Will be held on the weekend 11-13 October 2019 at the Geehi Flats (Hut) Campground located off the Alpine Way 43km from Thredbo and 31km from Khancoban NSW within Kosciuskzo National Park (KNP). KNP has entry fees and please remember to take your rubbish out with you. You can check out road conditions on the NSW Roads & Maritime Services website. Have friends? Then share the webpage, whilst a Google Map link is here and map below. The ride to and around Geehi offers some of the most picturesque scenery and riding roads to be found in SE Australia. Watch out for animals, traffic and remember to ride to the road and weather conditions. Download, print, email & share the flyer here. The Rally entry fee of $20 includes a badge with raffle tickets for sale. You can enter in the usual and unusual awards. 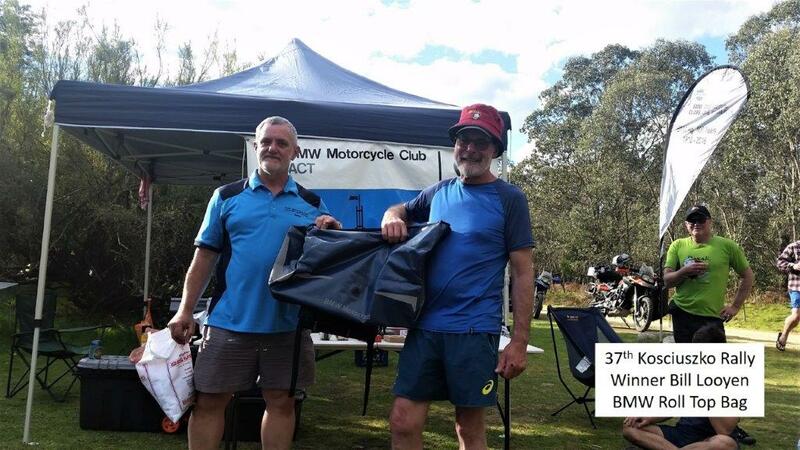 BMW Group Australia is supporting the 2018 rally with 3 major prizes including 2 pairs of BMW ProSummer Gloves (rrp $180) (voucher so you get the size you want) and 1 BMW roll top bag (rrp $28) [*T&C]. Prizes TBC @ October 2018. The Club will again have for sale on Saturday night the popular although limited No. of Germanic Kransky & salad rolls and Sunday breakfast of egg 'n' bacon rolls and espresso coffee. Proceeds from the rally go to a nominated charity and thanks to all those who attended in 2018 we donated $1000 again (2015, 2016) to the Royal Doctor Flying Service. *T&C. 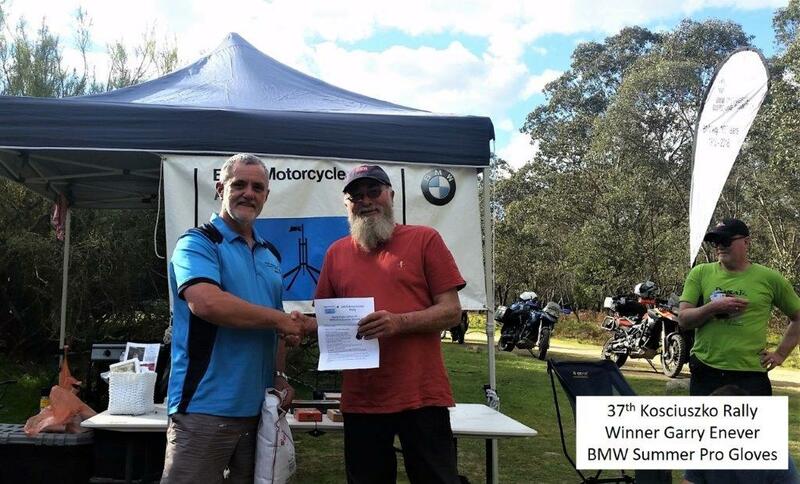 BMW Group Australia raffle prize is in the form of a voucher, that cannot be redeemed for cash or exchange. BMWMCCACT will coordinate with the winner their size, ordering and delivery. The BMWMCCACT Inc. is not responsible for any loss or damage to, by or from riders, pillions or participants attending the rally. Please email theRide Co-ordinator if you have other questions.